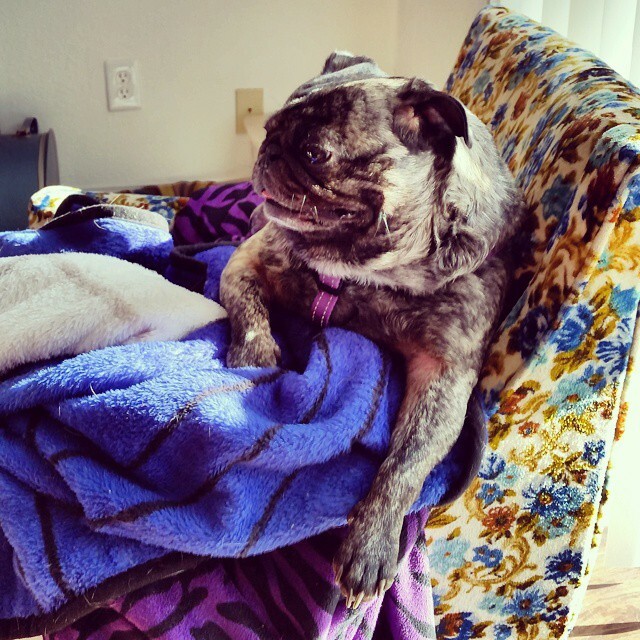 Cute Pug is queen of the blanket pile! She likes to survey her lands from atop her blanket pile. She is a regal pug for sure!